According to the Critical Chain Project Management method, 50% of the built-in safety margin in projects could go. It is a waste of time and by cutting back, projects could be completed in 3/4 of the normal time. That is a time saving of 25%. To achieve this, Critical Chain Project Management uses the Buffer Management technique. I’ve discussed the causes of this waste of time in the blog 4 time wasters in project planning. It concerns the student syndrome and Parkinson’s law. This will ensure employees estimate a (too) large safety margin for their activities and waste this completely too. As a rule, it turns out that we estimate twice as much time to complete an activity than we actually need. That’s because we always want to play safe. 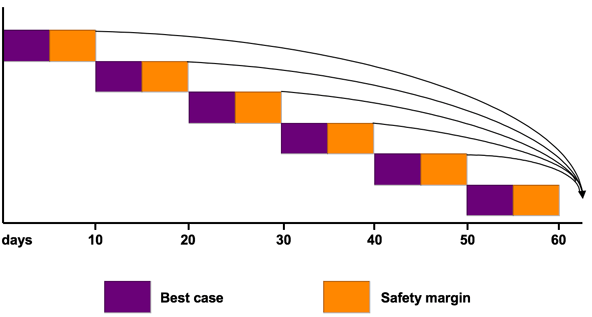 Critical Chain Project Management states that all employees have to give up their individual safety margins. This also holds the greatest resistance. People want to perform well and with its own safety margin, it is quite possible. But you need to let go of this. Employees should no longer think of the individual interest, but of the collective interest. 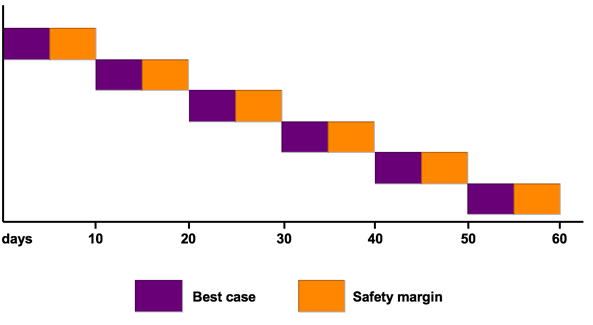 All individual safety margins are bundled into one big safety margin at the end of the project. Critical Critical Chain Project Management calls this a buffer. A major change in the way of thinking is that people have to accept uncertainty. There must be a culture of it’s ‘OK‘ if you do not achieve what you have planned. That’s okay. It is even likely that it will take you longer, but this is not a problem because the project has a single large buffer for delays. 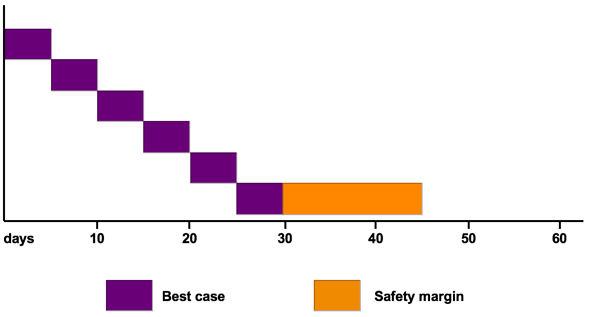 By bundling all individual safety margins at the end of the project, you can immediately see how disproportionately large the safety margins are relative to the activities to be carried out. The safety margins or the buffer should now be brought into proportion. 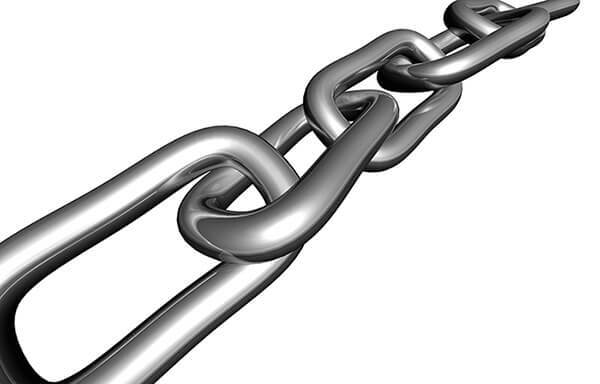 Critical Chain Project Management says there is a good chance that an activity will take 50% longer than estimated. This is normal. By bringing the buffer back according to this rule, the total duration of the project can be reduced to 3/4. In other words, a time saving of 25%. One of the core tasks of the project manager is managing the buffer. The buffer is used up during the project and the project manager must monitor that the buffer is not used up too fast. Otherwise the project won’t reach it’s deadline. 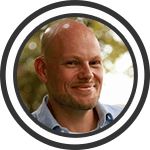 With a disproportionate use of the buffer, the project manager should make adjustments. How would you be able to do this in practice? Note: The following is a shameless promotion of our product (but it can of course also be done in any other system). I created a ‘Baseline‘ version of the project planning in Timewax. All activities are sequential, with the exception of the buffer. This has a fixed start and end date. I have created a new version below that shows the status of the project planning at the end of week 6. I updated this project planning on the basis of the time actually needed to complete the activities ‘Definition‘ and ‘Design‘. More time was required (50%) for both activities. You will now see that the total chain takes up 1/3 of the buffer. That’s not a problem, because 1/3 of the buffer was also allocated from the first 2 activities. To see how the activities relate to the ‘Baseline‘ you can always compare 2 versions as shown below. You can also check that each activity does not take more than 50% compared to the baseline. You would also use the same approach of buffer management in budgeted and actual hours. Then you can also monitor the finances of your project and make adjustments. This might be an idea for a separate blog. Nevertheless, this method provides a clear view of how much time we waste. I also find the central guarding of a single buffer with all safety margins a very valuable approach. Far better than leaving this up to the individual employees. Nothing to the detriment of their abilities, but the collective project interest is simply better managed.